SST has extensive experience in the design, fabrication, and start-up of sophisticated process control, fire and gas detection and extinguishing systems for a worldwide customer base in the oil producing, refining, chemical and process industries. SST’s multi-disciplined staff includes experienced, degreed sales, project, and field start-up engineers who have amassed extensive expertise in the petrochemical and process industries. Their experience base, coupled with a sincere commitment to evaluate the latest technology on a regular and consistent basis, ensure the design and manufacture of practical, innovative, high-quality systems that are easy and cost effective to operate and maintain. 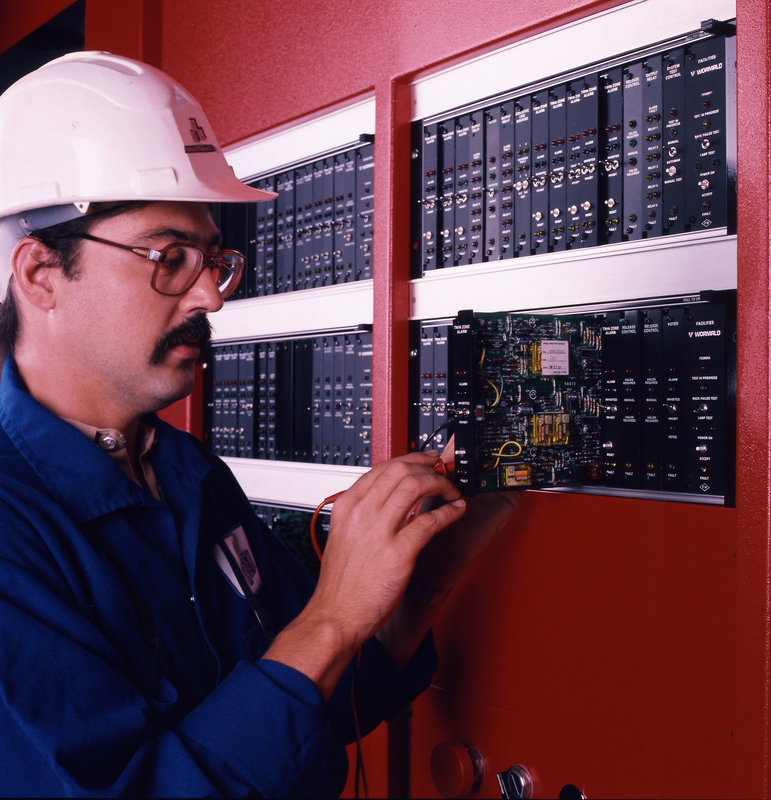 SST will fabricate to customer design specifications, or provide complete engineering support for equipment ranging in size and complexity from small, field-mounted local control panels, to complete control systems integrated with programmable logic controllers (PLC’s), supervisory control and data acquisition (SCADA), and distributed control systems. Since its inception, SST has delivered turnkey systems to numerous petrochemical and refining companies, many large engineering organizations, and the majority of oil companies. SST has earned an enviable reputation for providing quality products and excellent service before, during and after the sale. SST’s multi-disciplined staff has the experience and expertise to work closely with our customers to provide consistently high-quality technical assistance in any discipline-from the evaluation and analysis of functional criteria, to feasibility and cost studies, to the design, manufacture, start-up, and maintenance of systems of all sizes and complexities. SST has kept pace with today’s rapid technological developments and changing regulatory requirements, and has become a world leader in the design of state-of-the-art fire and gas protection and control systems. Our many years of experience enable us to design systems of all sizes and complexities to meet the diversified needs of our customer base. We perform technical evaluation of specific customer requirements, including cost feasibility studies, hydraulic calculations, seismic calculations, and stress analyses. We provide complete system design documentation in the form of computer-generated outline drawings, wiring schematics, and terminal maps. Whether you are looking for a small or large custom system, we would love to talk to you. Our knowledgeable and friendly design engineers are ready to assist you. You may call us at 1-949-583-1857 or by e-mail at sales@safetysys.com – all drawings or specifications can be sent to this e-mail address and we will contact you once we receive them. Today’s industrial applications often require a sophisticated, engineered systems approach. In the design of a fire and gas detection system, SST will integrate its own manufactured products as well as compatible products procured from other manufacturers to conform to the customer’s specifications.